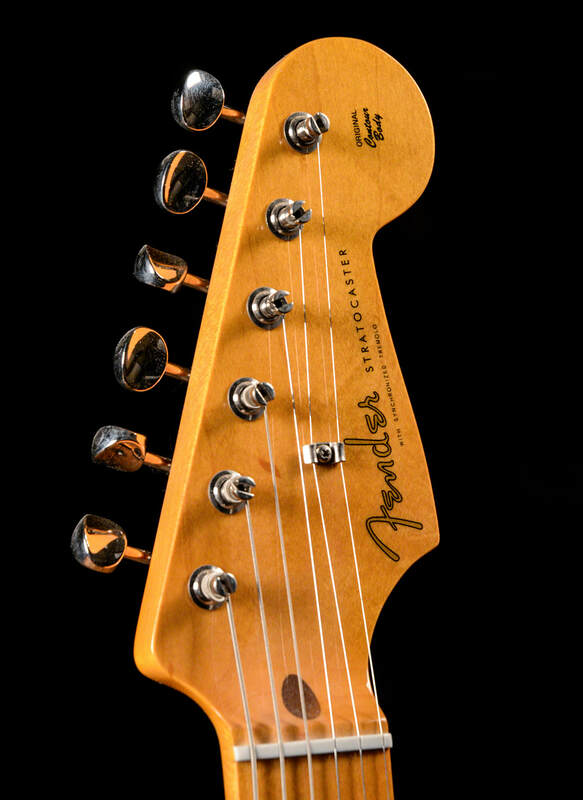 During rock music's infancy in 1950s, Fender introduced a revolutionary new guitar—the Stratocaster. 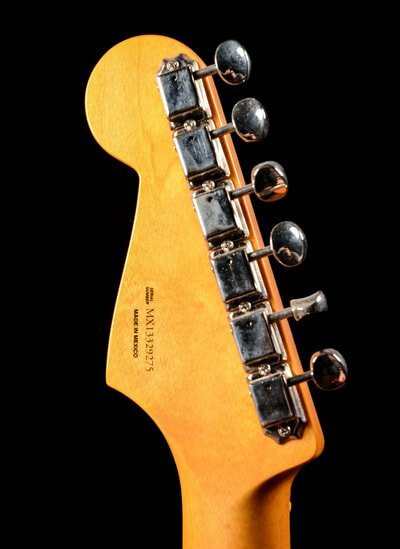 With its sleekly contoured two-horned body, triple pickup layout and innovative tremolo bridge, it redefined the possibilities for guitarists everywhere and set the stage for unimagined musical heights to come. 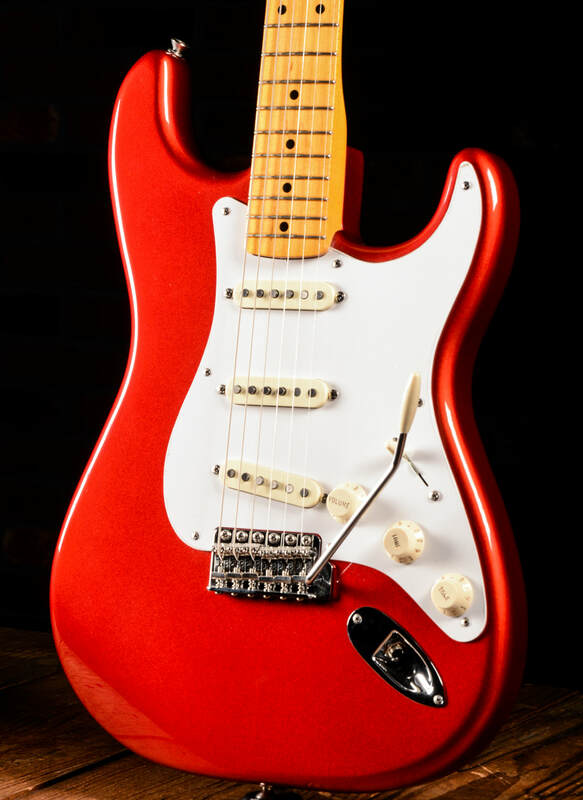 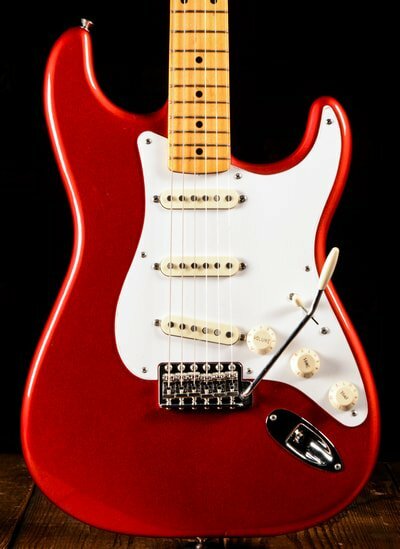 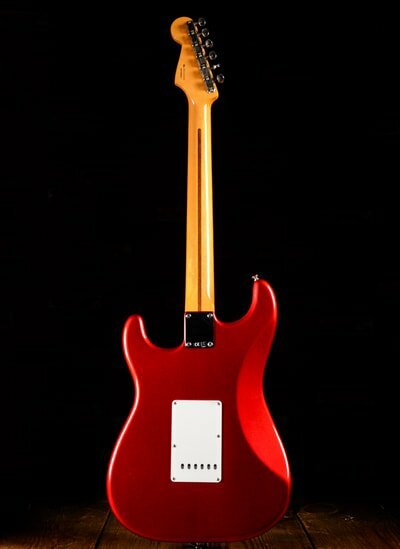 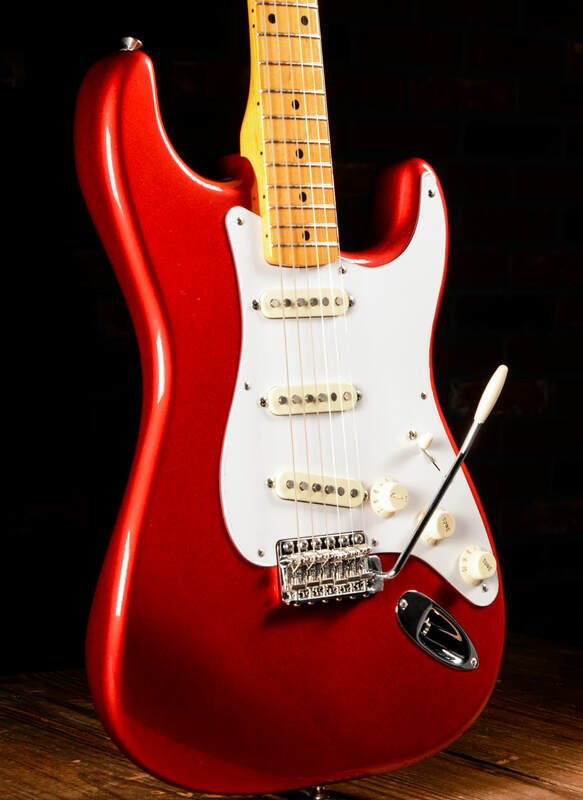 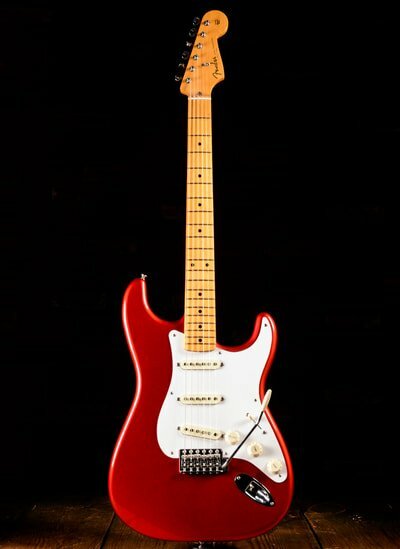 The Classic Series '50s Stratocaster Lacquer epitomized the instrument in the era of its origin, with an authentic nitrocellulose lacquer finish on its alder body. 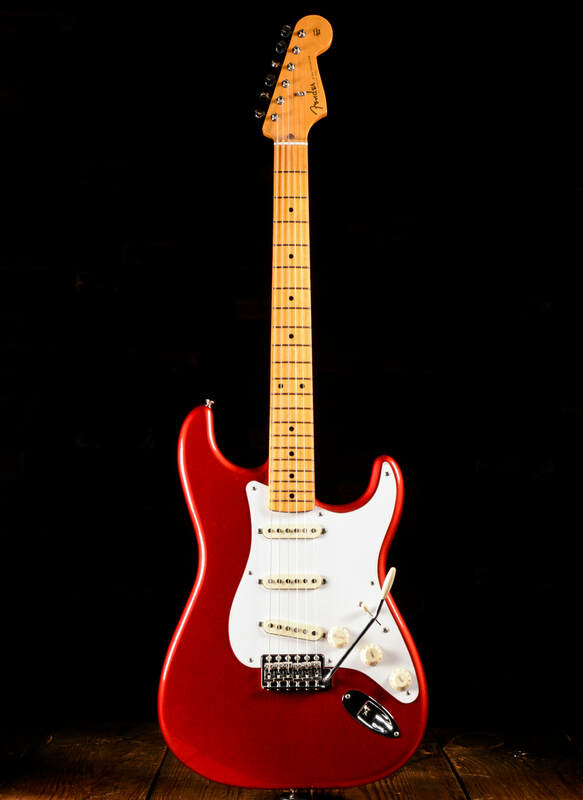 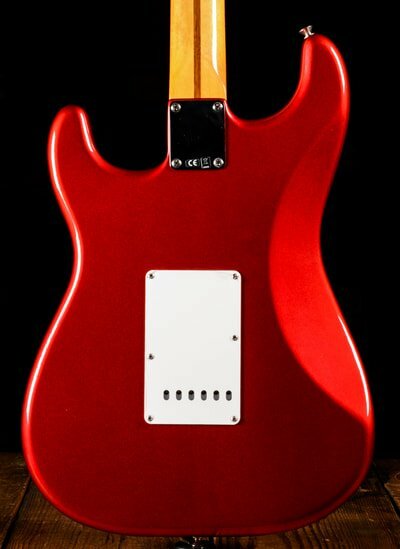 Other features include a "soft V" shaped tinted maple neck, 7.25"-radius maple fingerboard with 21 vintage-style frets and black-dot inlays, three vintage-style single-coil pickups with staggered alnico pole pieces and five-way switching, single-ply white pickguard, aged control knobs and switch tip, vintage-style synchronized tremolo bridge and vintage-style tuners. Tweed case included.